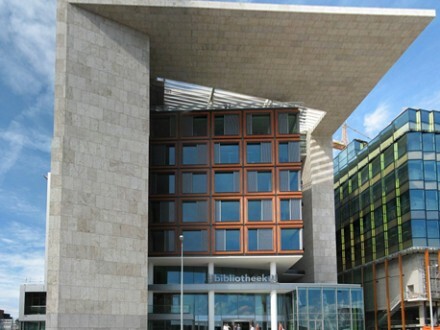 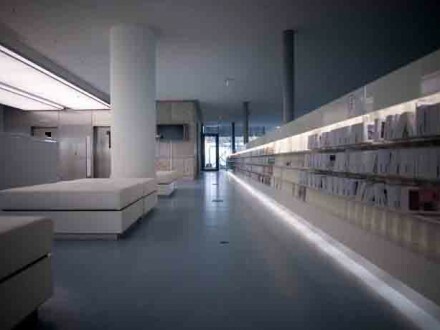 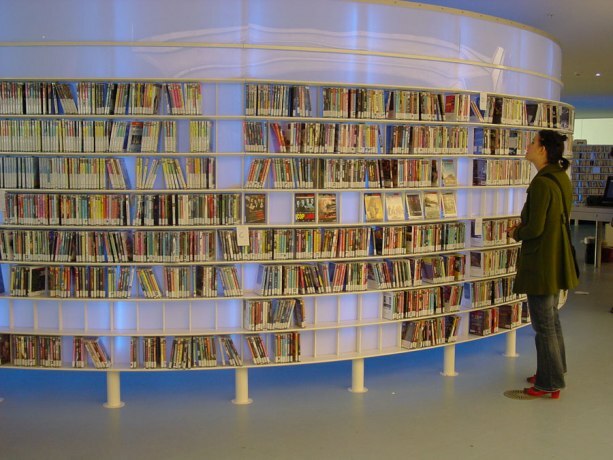 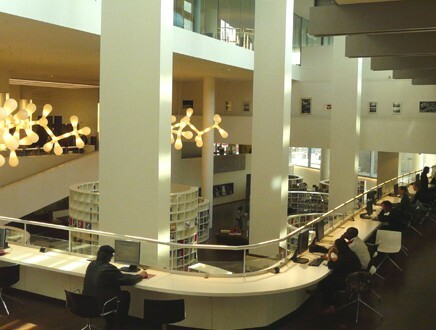 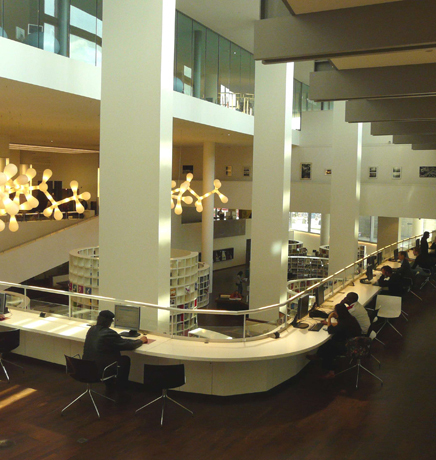 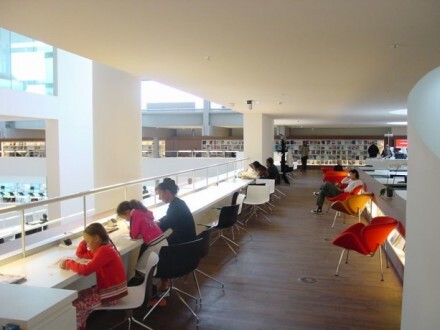 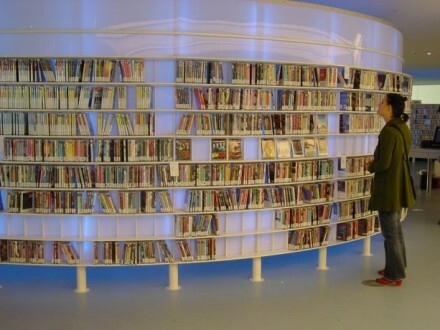 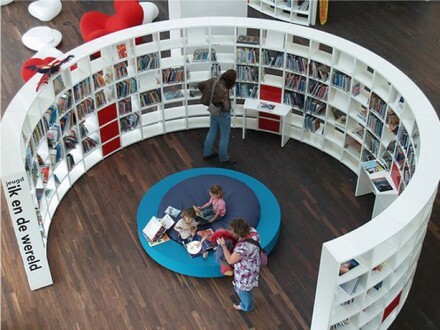 The Amsterdam Public Library is situated in the redeveloped Oosterdokseiland area of Amsterdam. 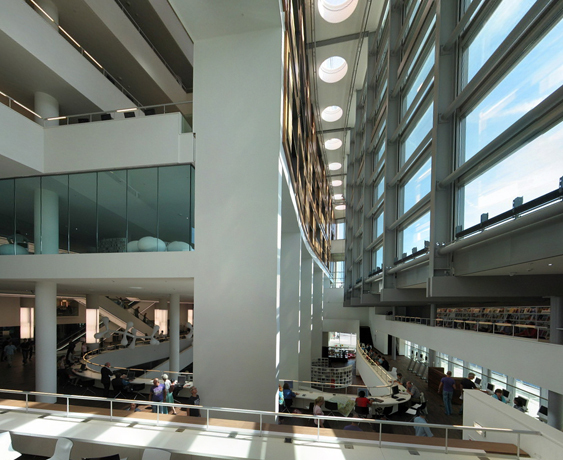 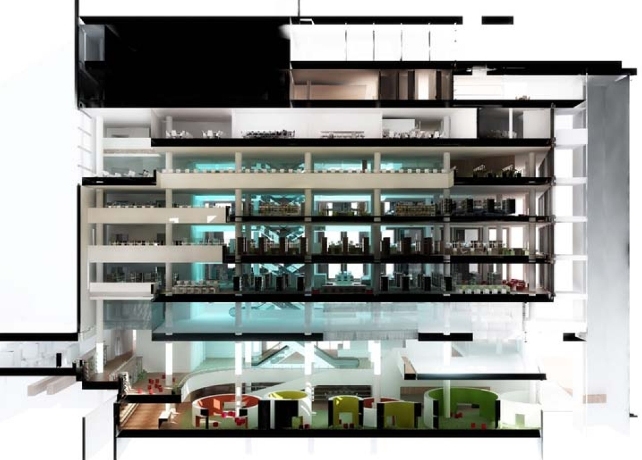 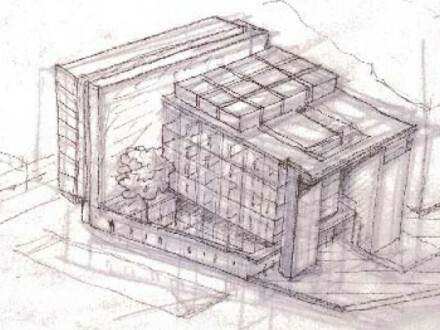 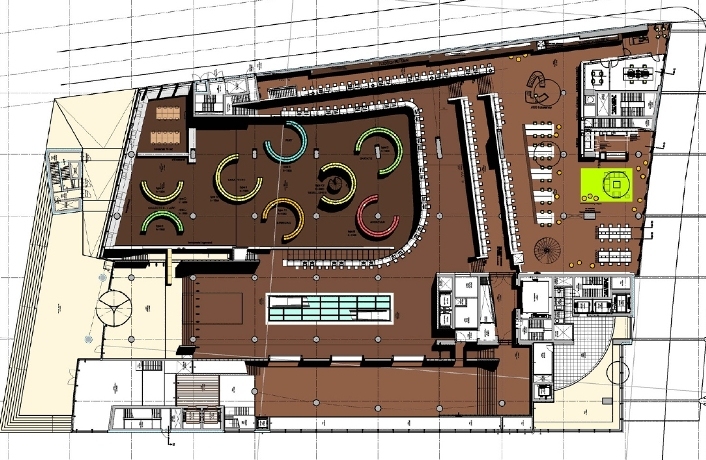 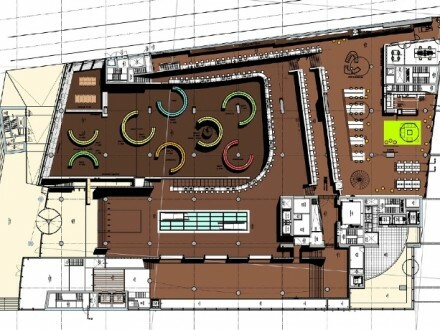 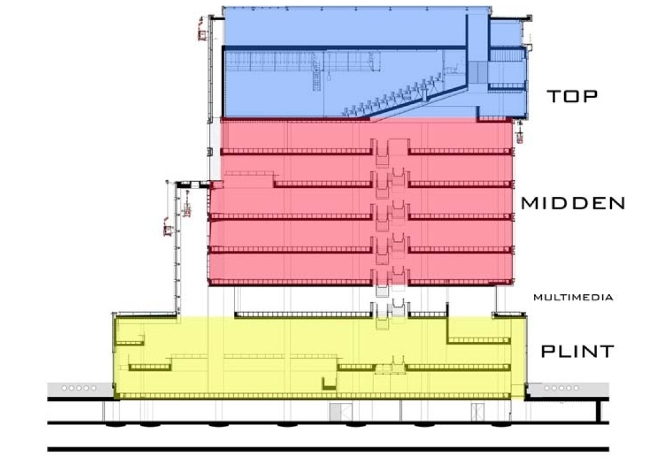 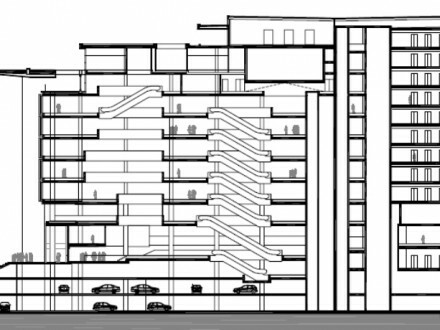 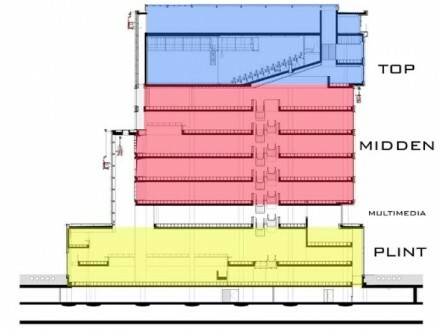 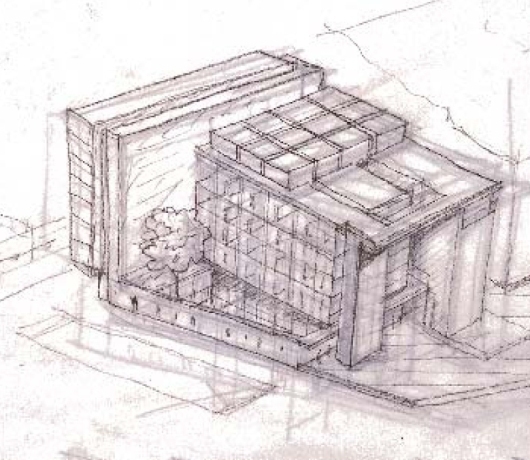 The building program encompasses a 30,000 m2 library, including theatre, cafe and an additional 9,000 m2 of office space. 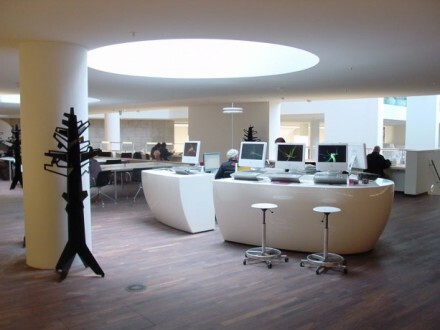 The library is a fine example of a modern information centre designed for the 21st century. 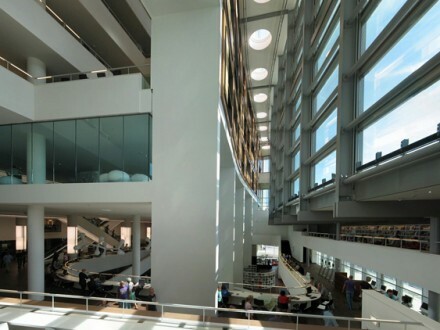 Video interviews with the engineers involved in the project reveals their holistic approach to building design, with the successful outcome being down to design intelligence rather than heavy mechanical hardware. 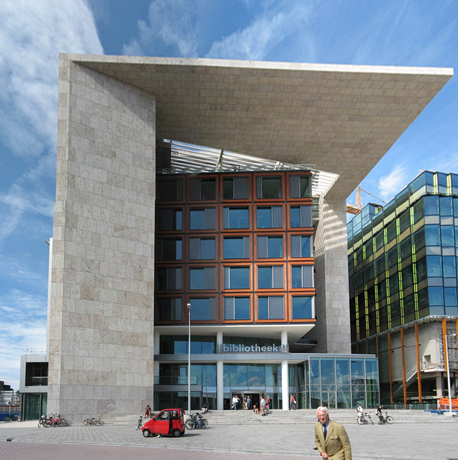 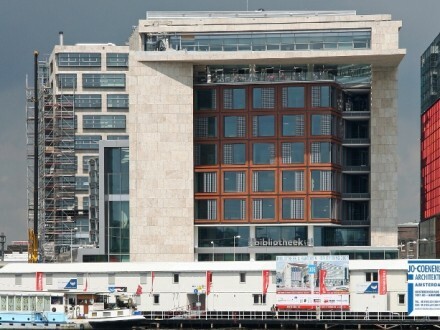 This holistic approach enabled the successful resolution of conflicting interests such as ensuring each internal space receives sufficient sunlight whilst simultaneously ensuring the building envelope contributes to an interesting skyline alongside the open waters of the Oosterdok. 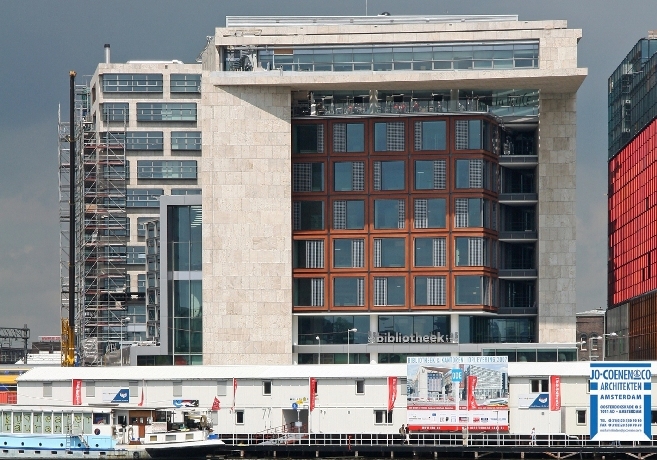 Systems integration helps achieve the overall building aesthetic. 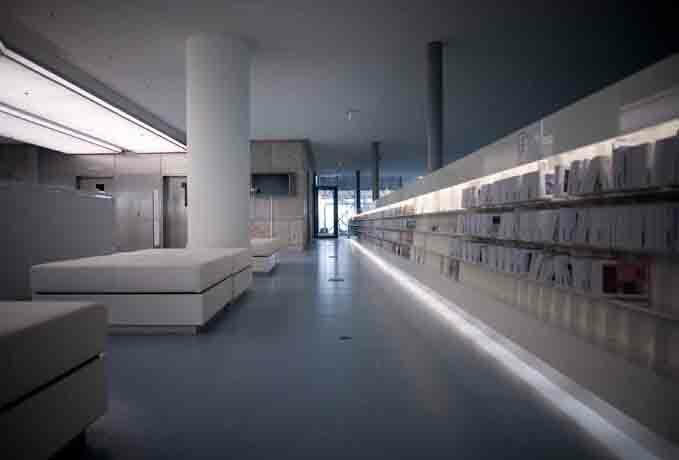 The lighting design creates a landscape of contrasting zones, interacting with a raised plinth providing a transitional area between upper and lower floor levels; a sense of space is created by hiding the building`s equipment and services from view and incorporating a system for distributing fresh air into the floors; sustainability is integral to the design thanks to the implementation of a ground source heating system together with efficient boilers and the use of natural ventilation from the cold air outside.